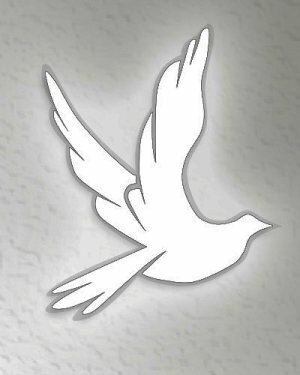 Obituary for James Alfieri | Schrock-Hogan Funeral Home & Cremation Services, Inc.
James V. Alfieri, 101, of Mapleview passed away peacefully at home surrounded by his loving caretakers on Tuesday, March 19, 2019. He was born March 10, 1918 in Charleroi, the son of Thomas & Mary (Dinio) Alfieri. Jim was a 1936 graduate of Charleroi High School and proudly served in the United States Air Force during World War II. Jim was a 66 year member of Fr. William D. Fries Council #956 of the Knights of Columbus. He owned and operated Alfieri Realty in Charleroi for 35 years. Jim enjoyed dancing, golfing, and spending winters in Florida. He is survived by sisters Joan Gannon and Anna Clark, both of Pittsburgh; nephew John (Lynn) Clark of Pittsburgh, niece Mary Lee Gannon (Arne) of Pittsburgh, nephew Norbie Gannon (Sally) of Falls Church, VA; and several great nephews and nieces. Along with his parents Jim was preceded in death by a sister Carmelene, and a brother-in-law Norbert Gannon. Family and friends will be received Thursday from 10 to noon in the Schrock-Hogan Funeral Home & Cremation Services, Inc., 226 Fallowfield Ave., Charleroi. A mass of Christian burial will be celebrated on Thursday at 12;30p.m. in Mary, Mother of the Church, 7th & Washington Ave., Charleroi. Interment will follow in Monongahela Cemetery with full military rites. Online condolences may be sent to the family at www.schrock-hogan.com.